ScoreCard by Griffin Hill is the ridiculously easy-to-use sales tool that automates the missing piece crucial to your sales success. It solves the black hole conundrum by giving you visibility into the hidden events between initial sales activity and end results. It pulls back the curtain from that black hole to reveal the essential steps in the selling process that make all the difference in closing a sale. Score points by completing those essential selling steps. In ScoreCard, now you can easily see who is in your sales pipeline and where they are in progressing toward a successful close. Now you can see which key points in the sales process are being neglected, and which essential sales skills you need to focus on in order to master the success formula. With ScoreCard you can instantly view any of 15+ performance boosting reports–all generated from only a single piece of data per prospect. That piece of data being the next appointment date–which you already have to record anyway! Instead of interfering with your essential sales activities, ScoreCard leverages those activities. Specifically designed by busy salespeople for busy salespeople, ScoreCard is so easy to use that you effectively do NOTHING more than you already do. It requires you to spend practically ZERO extra time to turbocharge your sales performance and see big results. ScoreCard is your ticket to sales success. Learn what ScoreCard (and its methodology) can do for you. That’s it! That is all it takes. And here is the kicker: you already do that anyway! When you and your prospect agree to meet soon to discuss the next step in closing the deal, you make a note of that, don’t you. You don’t want to forget when it is. You put that appointment on your calendar. So then all you do is put that next event date into Scorecard–it’s that easy. It’s that quick. Then you can immediately see what stage everyone is at in your pipeline, along with all the other reports that will make you more effective and productive. Imagine it is your dream–your goal–to build a house. To build your dream home. You’ve never built one before, though maybe you’ve dabbled here and there and have made some attempts before. Let’s assume you can’t hire someone else to build it for you. Or you don’t want to. If I sell you a hammer and tell you you’re going to have the house of your dreams, what is going to happen? First of all, you’ll never build anything if you never even pick up the hammer and use it. 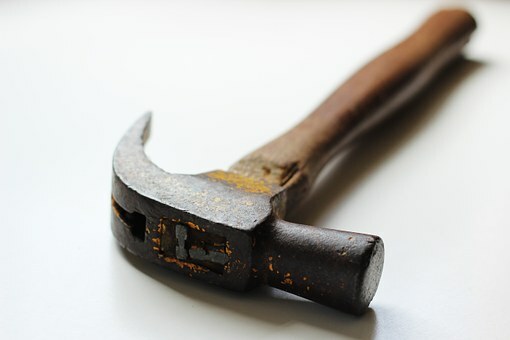 Second of all, having the hammer–even though it is a special advanced hammer that does wonders–having the hammer does not give you the knowledge, skill, or motivation to get your dream home constructed. We are not selling you a hammer. We are going to teach you what you need to know to build the house you want, in the most cost-efficient way possible. We are going to give you the support, encouragement and motivation to stay with it until the project is done and you’ve reached your goal and get the results you want –the house you imagined living in. We are giving you the plan to follow, giving you the training to master the skills needed to build the house, giving you feedback and coaching and course correction so you can get the house built faster, and with fewer messups. Oh and by the way, here is this specially designed hammer that makes it so much easier to get your dream house built, now that you are prepared in every way to successfully build it. ScoreCard is that hammer. It is just a tool. A powerful tool no doubt. But like in the house scenario (where we are selling the house of your dreams that you will end up with if you learn the constructions skills, build it correctly and actually put in the effort) we are not just selling the hammer. We are not just selling ScoreCard. We are granting you the results you desire as a salesperson: high earnings, big commissions, a full pipeline, lots of closes, top revenue, the prestige and admiration that comes with all that–all the outcomes you get if you learn the sales skills, follow the model and actually put in the effort. The one key piece of data is the next appointment date–which you already have to record anyway! The main screen in ScoreCard is your Active Pipeline, where you can see all cases you are working on, and where each prospect is in the sales process. All you have to do to reap the rewards of scorecard is keep your pipeline up to date. Meaning, whenever you schedule a next appointment, enter the date of the upcoming event. That’s all it takes! It’s that easy to extract all the reports, insights and benefits from ScoreCard. For your convenience, you can also enter this important date on the Case Details screen along with other optional information about the case. Simply click the case name in Pipeline to view the Case Details.